Calling all adventure seekers! It’s time to offload and reload. Buy, Sell, Trade All Things Adventure! 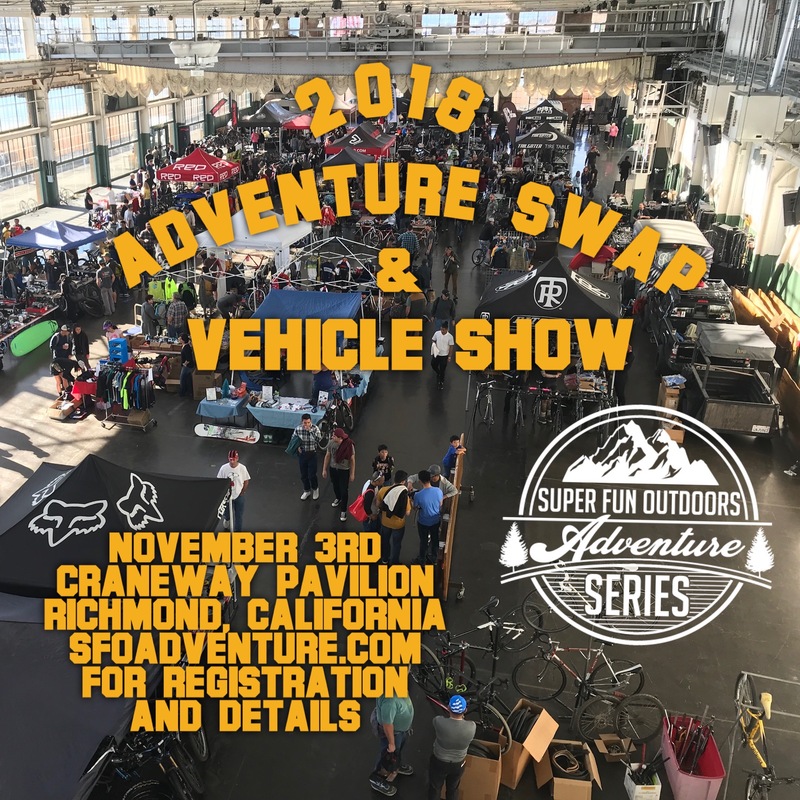 The SFO Adventure Swap formally know as the SF Bike Expo is your opportunity to give your bike and gear new life, buy, sell and trade all adventure things from bikes, 4 wheel parts to surfboards. Between the Bike and Adventure Swaps, this will be our 10th one. In addition, we are having our 2nd Adventure Vehicle Show of the year produced in conjunction with the Dirtraveler and a Women’s and Kid’s Jump Jam and Clinic called the Sugar Jam produced by Sweetlines and rideSFO. On 11/3/18 from 11 AM to 5 PM.